Members of the global elite who fancy themselves punk rockers have made skull watches a great commercial success for several independent brands, particularly Richard Mille and Hublot. The latest to join the fray is HYT, makes of timepieces with liquid time displays. The HYT Skull indicates only the hours, via a coloured liquid inside a glass tube that circles a skull-shaped dial plate. Based on the H1 wristwatch, the Skull has a pair of bellows, located where a skull’s teeth would be, to drive the liquid inside the tube. Two liquids fill the tube, one water-based and coloured, while the other is a clear oil-based fluid. This allows for a clear indication of the time while preventing the liquids from mixing. The right eye of the skull contains the power reserve display, with graduated colour inserts to show the remaining power reserve – the eye darkens as the mainspring winds down. And the other eye contains the constant seconds hand. The Skull has a 51 mm diameter case, larger than the H1 with minor design changes including the removal of the crown guard. Visible through a display back tinted to match the colour of the dial, the movement is manually wound with a 65 hour power reserve. 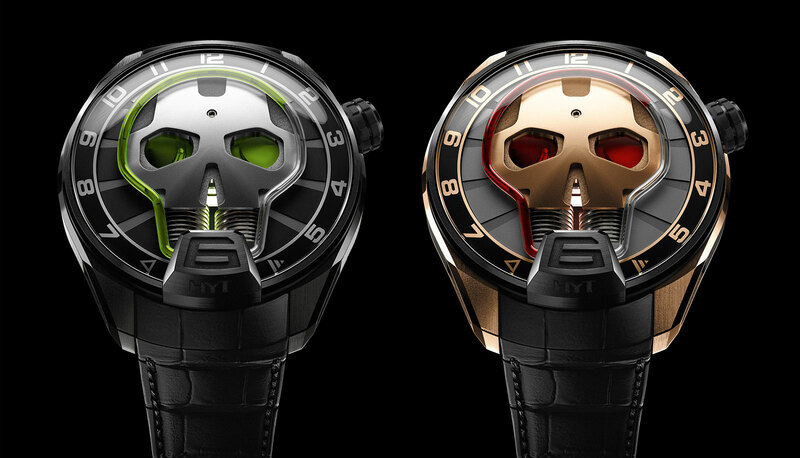 Two versions of the Skull are available, the Green Eye, with green fluid and a DLC titanium case. 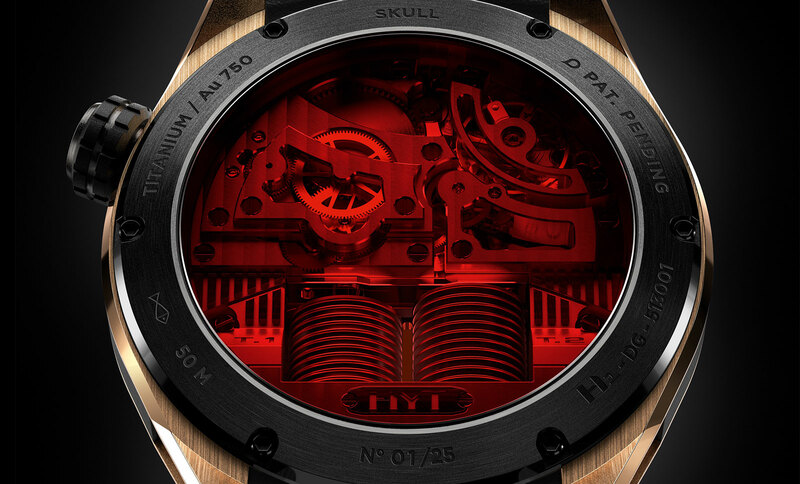 Limited to 50 pieces, the Skull Green Eye will cost 100,000 Swiss francs. 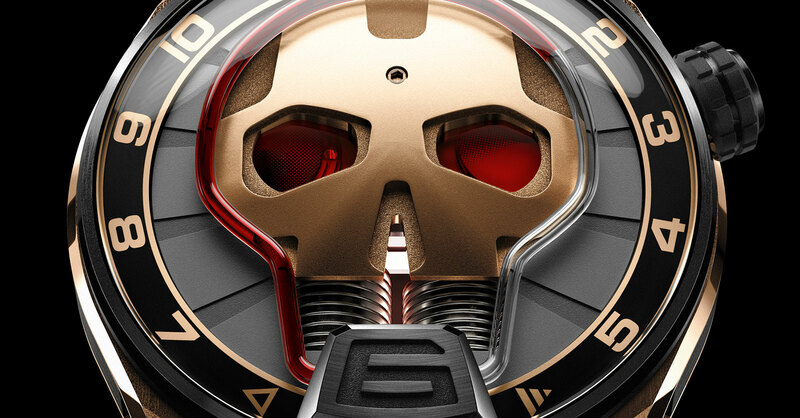 And the other is the Skull Red Eye in DLC titanium and red gold, a limited edition of 25 pieces with a price of 90,000 Swiss francs.